This hotel is 100PCT Non-Smoking. The Embassy Suites Vanderbilt is a beautiful all suite Hotel located in the heart of West End and Music Row just one mile from downtown Nashville and historic Second Avenue. Area attractions include The Sommet Center home of the NHL Nashville Predators LP Field home of the NFL Football Tennessee Titans The Wildhorse Saloon Coyote Ugly Buffalo Billiards BB Kings The Parthenon Adventure Science Center the Country Music Hall of Fame the Schermerhorn Symphony Center home of the Nashville Philharmonic Orchestra Loveless Cafe Pancake Pantry Cheekwood Botanical Gardens and the Ryman Auditorium. Shopping is minutes away at The Mall at Green Hills or Opry Mills Mall. Our location is also near many colleges and universities most notably Vanderbilt University and Medical Center Belmont University TSU /Tennessee State University/ Meharry Medical College and Fisk University. The Hotel has 208 spacious two room suites with a separate bedroom area and living area. Each suite features a wet bar with small refrigerator coffee maker microwave and pull out sleeper sofa. 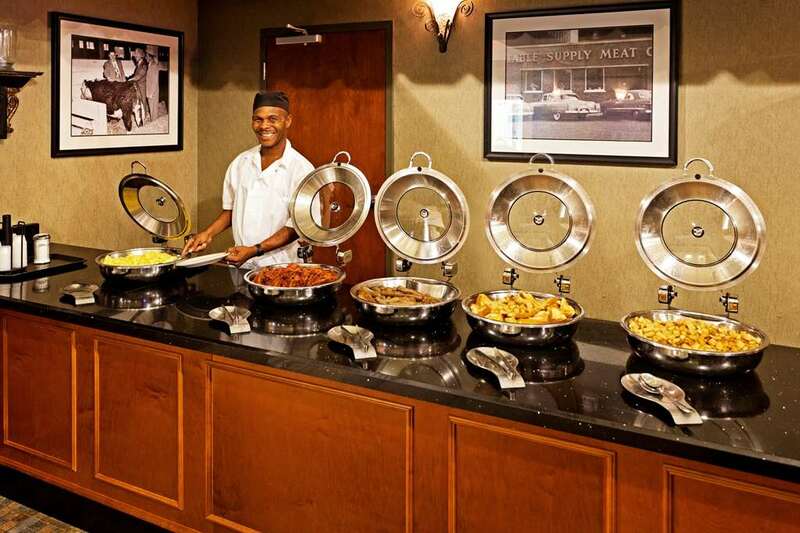 All rates include a cooked to order breakfast each morning and a complimentary evening Manager*s Reception each night. The Omaha Steakhouse is our featured restaurant serving delicious steaks sandwiches fresh fish and pasta daily for lunch and dinner. Our three star full service hotel offers room service each day from 11 am to 11 pm along with a full service fitness room sauna and spa. Five Odd Fellows: Inspired by an old organization dating back centuries with chapters still in existence today Oddfellows Nashville is a welcoming place that offers food drink and good cheer to all who enter. School of Nursing Vanderbilt Univ.